When your dog is wet, you know you better move fast out of the splash zone before they start shaking themselves dry. It’s impressive how thoroughly they can shake their entire body (and how far they can fling those cast-off water droplets), and science has found dogs can shake 70% of the water from their fur in only four seconds. It’s a good skill to have when you don’t want to walk around soaking wet, but if dog owners pay attention, they’ll notice their dogs shake even when they’re not wet. Like wagging their tail or pricking their ears, shaking off is an example of canine body language. Every time your dog shakes, they’re sending a specific message. The content of that message depends on the situation, and being able to correctly interpret your dog’s language will help you better understand your pet. Here are a few of the most common types of shake offs and what they mean. Sometimes the situation is the bad kind of intense—like surviving a trip to the vet or getting into a disagreement with another dog—but intensity can also mean excitement. Dogs shake off after particularly active play sessions and after greeting their owners at the door. Shaking all over allows them to reset their minds and emotions. Prior to shaking, your dog was on high alert. But shaking is a transition into a calmer, more controlled state of mind. It’s like telling a baseball player who just botched a play to “shake it off” so they can keep playing the game. Getting control of emotions is as important for dogs as it is athletes. Every dog has a different list of things that are potentially irritating. For impatient dogs, the most annoying thing is when their owner stops during a walk to talk to a neighbor. They try tugging on the leash to get things moving again, and once they’re allowed to continue walking, a quick shake punctuates that transition. It’s like how a student might shake their head after finishing a tough test. The negative experience is over, and now it’s time to move on. Having their nails trimmed, being hugged by an overly affectionate toddler, and being pulled away from a pleasantly smelly spot on the sidewalk are all experiences dogs learn to tolerate—but that doesn’t mean they’re happy about them. Training and socialization teach dogs how to cope with those inconveniences without losing control, and we as humans sometimes underestimate that effort. A shake off can be a dog’s way of processing past frustration so they can move on. When you survive a long flight wedged in the middle seat, one of the first things you do when you’re finally free is stand up and stretch your legs. You might even twist and squirm the rest of your body to get rid of those lingering feelings of discomfort. Dogs do the same thing. They get sore and stiff like the rest of us, and being cooped up in the car, a crate, or falling asleep in an awkward position (which all dogs seem to love to do) can leave them feeling less than content. Shaking off is the first step in getting more comfortable. 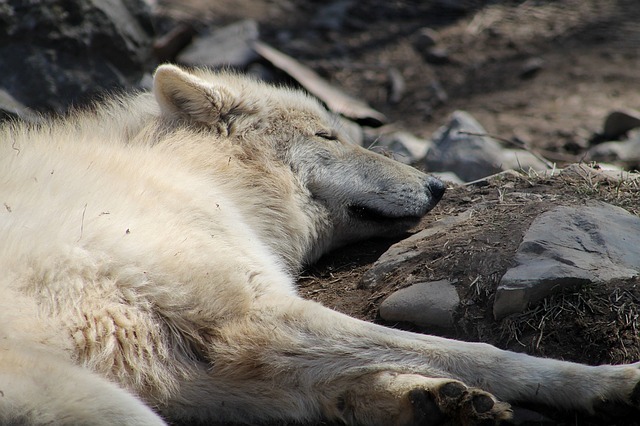 Dogs today sleep on orthopedic dog beds and cuddle with plush blankets, but even your pampered pup has instincts from a long line of wild dogs that slept on the forest floor. Your dog’s ancestors faced threats both big and small, and they adopted behaviors that helped them survive. One of those survival behaviors was shaking off after waking up. Sleeping on the ground meant being vulnerable to biting bugs and other creepy crawlies. Shaking off was a good way of getting rid of those pests. Shaking also helped keep their fur clean of dirt and itchy things like dead leaves and sticks. Your dog rarely has that problem, but their brains are wired with natural instincts that they can’t help but follow. Dogs Deciphered also points out dogs like to shake when they wake up to stimulate their body and get ready for the day. It gets their blood pumping after a long time asleep and helps wake up their mind. It might not be as good as your morning cup of coffee, but it’s a start. The next time you catch your dog shaking off, think about what they’re trying to tell you. Are they stressed or uncomfortable? Did they just wake up from a nap? 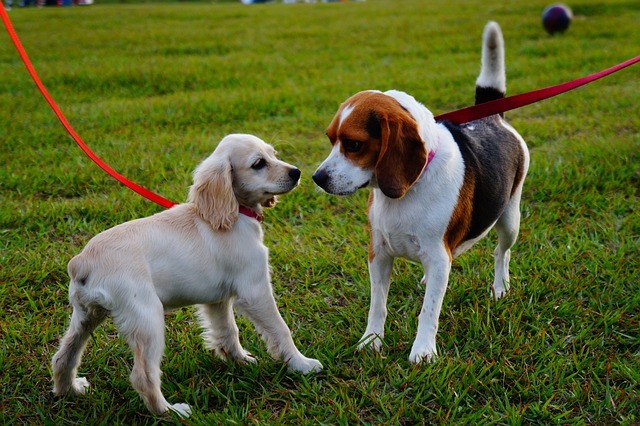 Knowing the reason behind the behavior will help you better bond with your dog.